The Marketplace data team at Uber has built a scalable complex event processing platform to solve many challenging real-time data needs for various Uber products. This platform has been in production for more than a year and supports over 100 real-time data use cases with a team of 3. In this talk, we will share the detail of the design and our experience, and how we employ Siddhi, Kafka and Samza at scale. 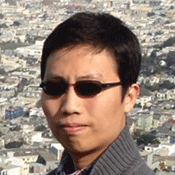 WSO2Con USA 2017: Scalable Real-time Complex Event Processing at Uber from WSO2 Inc.
Shuyi Chen is a Senior Software Engineer at Uber working on building scalable real-time data solutions. He built Uber’s real-time complex event processing platform for Marketplace that process up to 30 billion message a day in real-time, built streaming system that support Uber’s large-scale real-time visualization. He has years of experience in storage infrastructure, data infrastructure, Android/iOS development in Google and Uber.